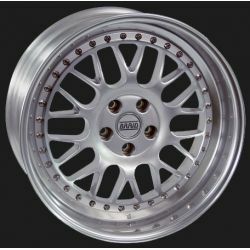 Racing wheels BRAID Winrace A 6,5x16" are specially designed for rally asphalt, circuit and hillclimb. 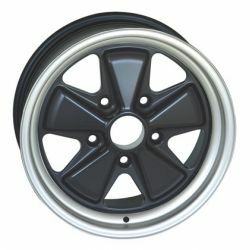 Braid wheels are made of a special lightweight aluminum alloy and the surface of the wheels is heat-treated with hardening to increase strength. The shape of each wheel is supplemented by small grooves (loops) on its inner circumference, which increase its stiffness and resistance to deformation. 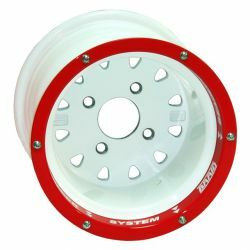 Like all BRAID aluminum racing wheels, these are standardly fitted with pressed steel inserts in the wheel bolt holes. This prevents damage to the mounting surfaces of the bolts (nuts), thus reducing the probability of loosening wheel bolts. Center bore: any size, on request (please specify in the note when ordering). 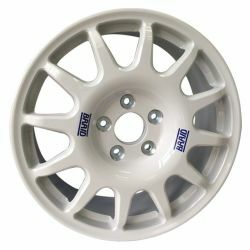 Possibility to deliver a wheel with a different standard PCD.